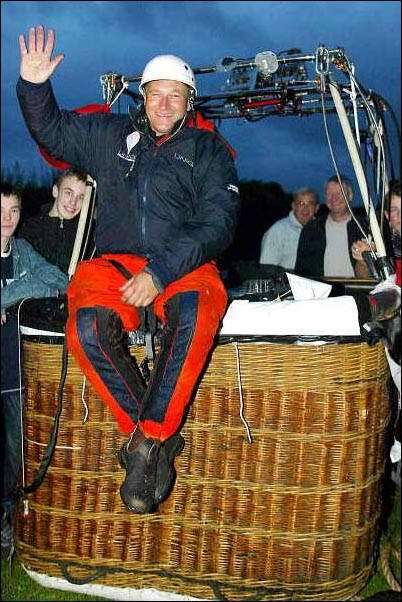 26 September 2003: At 2:38 a.m., Friday, David Kim Hempleman-Adams, O.B.E., lifted off from the athletic field of Sussex Elementary School, Sussex, New Brunswick, Canada, in his Rozière balloon on a four-day transatlantic flight. Hempleman-Adams was in an open 7 feet × 3 feet (2.1 × 0.9 meters) wicker basket. 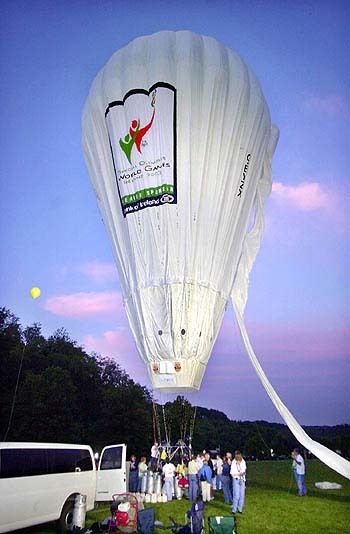 The balloon was built by Cameron Balloons, Ltd., Bristol, in 2000. It was a Cameron R-90, serial number 4751. The balloon was first registered 31 March 2000, as G-BYZX. 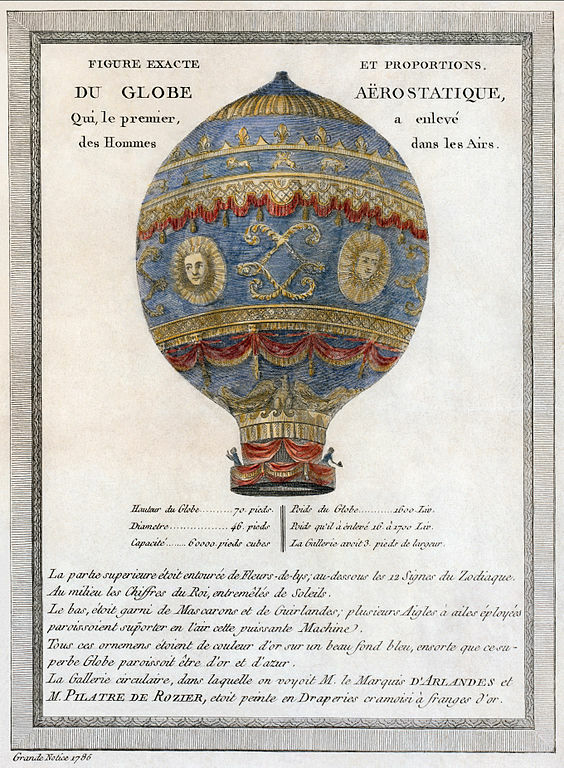 The R-90 is a Rozière balloon, which has separate chambers for helium and heated air. This allows the aeronaut to control the balloon’s buoyancy, but the hybrid type uses much less fuel than a hot-air balloon. 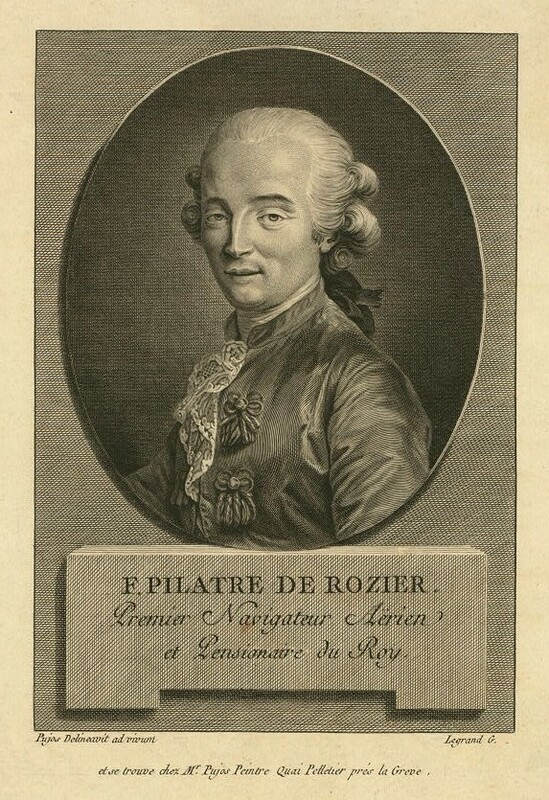 The type is named after its inventor, Jean-François Pilâtre de Rozier. The Fédération Aéronautique Internationale places the Cameron R-90 in the free balloon sub-class AM-08, for mixed balloons with a volume of 2,200–3,000 cubic meters (77,692–105,944 cubic feet). G-BYZX had a maximum takeoff weight of 2,654 kilograms (5,851 pounds). 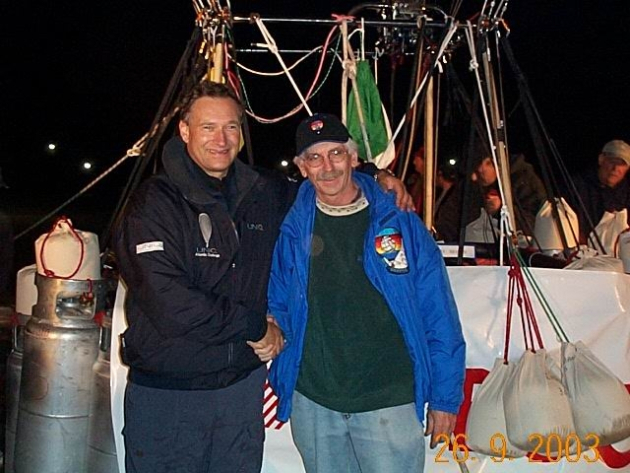 Hempleman Adams had previously flown G-BYZX, then named Britannic Challenge, to the North Pole, on 3 June 2000. Following his transatlantic flight, he would use it to set a FAI World Record for Altitude of 12,557 meters (41,198 feet), 23 March 2004. During the first day, Hempleman-Adams’ balloon gradually rose to an altitude of 8,000 feet (2,438 meters) as it drifted eastward. On the second day he was at 10,000 feet (3,048 meters), and on Day 3 he reached a peak of 14,000 feet (4,267 meters). The weather was very cold, with rain and snow. Hempleman-Adams said that the average temperature during the flight was -12 °C. (10.4 °F.). Ice built up on the balloon’s envelope, increasing its weight. It became heavy enough that the balloon began to descend. Hempleman-Adams was unable to prevent the descent by using the propane burners to heat the air and increase buoyancy, and was forced to lighten the balloon by jettisoning six propane cylinders. During the third day, the balloon was hit by the shock waves of a Concorde supersonic airliner as it passed overhead at 30,000 feet (9,144 meters). Hempleman-Adams felt a very abrupt, but fortunately, brief, descent as a result. G-BYZX reached the southwestern tip of Ireland at 8:30 a.m., BST, on 29 September, completing the transatlantic phase of his flight. The balloon continued to drift eastward, and at 6 p.m. on 30 September, came to rest near Hambleton, Lancashire, England. The total duration of the flight was 83 hours, 14 minutes, 35 seconds. Sir David Kim Hempleman-Adams, K.C.V.O., O.B.E., K.St.J., D.L., is an interesting guy. He is the first person to have completed the True Adventurer’s Grand Slam, by reaching the North and South Poles, the North and South Magnetic Poles, and to have climbed the highest mountains on each of the seven continents. 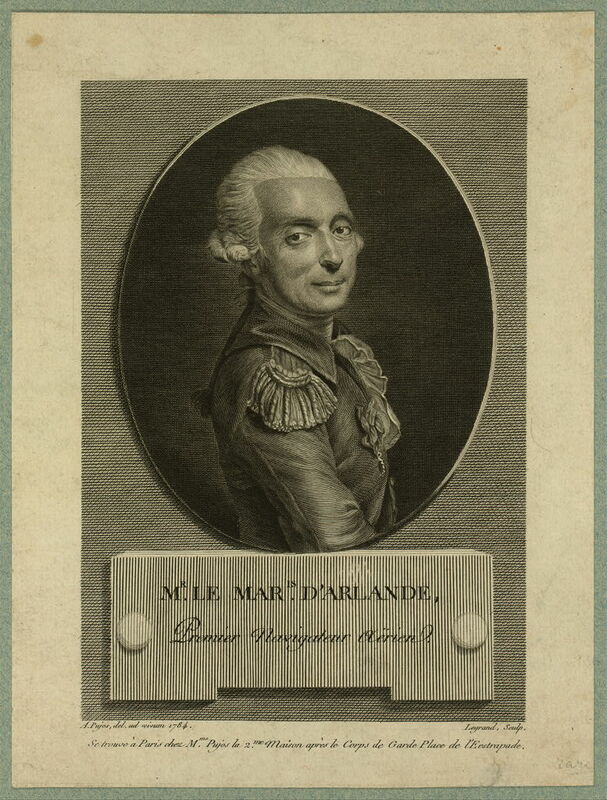 The Fédération Aéronautique Internationale online database currently credits him with 49 world aviation records. David Hempleman-Adams waves at the camera after landing in England, 30 September 2003.